Rev. Susan Vincent Cox is both a psychotherapist (LCSW) and an ordained minister of the Reformed Church in America. She has over 28 years of experience working in mental health, medical, and human service agencies, as well as her own private counseling practice. For 7 years she served as head pastor for 3 United Methodist Churches and is currently serving as Minister of Small Groups and Discipleship at First Church in Albany, NY. 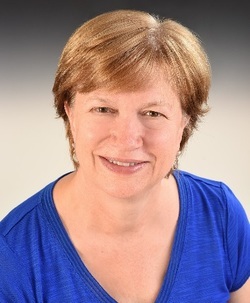 Sue serves on the Board of FOCUS Churches of Albany: A Collaborative for Charitable Justice and has served as a catalyst for the RCA Ridder Initiative for church and organizational transformation and renewal. In 2013 she developed and continues to co-lead Pilgrim’s Walk, a 6-18 week small group of spiritual direction and support for those in the 3rd stage of life (65 and older). ​Professional training includes Psychosynthesis, The Soul of Leadership (2014-2016) and Nonviolent Communication in which she is currently leading workshops and practice groups in the NY Capital District. Sue lives with her husband Jim near Saratoga Springs, NY. She has 2 young adult children currently in college and graduate school and enjoys hiking in the Adirondacks, taking retreats in Acadia National Park, kayaking, and cooking. To inquire about setting up a Spiritual Direction consultation with Rev. Susan Vincent Cox, contact Michelle at mabbott@executivesoul.com.